Tom Daykin reported at the Milwaukee Journal Sentinel. The exact location of the planned development has not been clear to me with just the architect's rendering to go by. 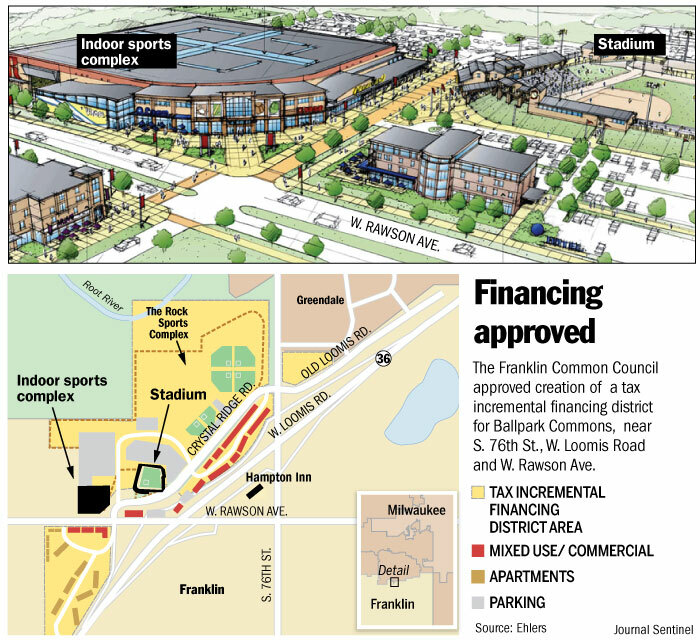 The article helpfully includes a map at the Graphic: Financing Approved link. It indicates Loomis Road is just past the lower right corner of the architect's rendering. Mixed use and commercial development, shown along Rawson Avenue, is also contemplated for the land between Loomis Road and Crystal Ridge Road. Apartments are contemplated further south of the commercial development along Rawson.